When we were younger, we learned how to make henna at a summer camp and we’ve been making it every single year since. 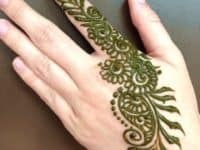 There’s just something about a stunning, swirling henna tattoo that lets people see your artistic and creative sides up front, before you’ve even spoken. We loved that! 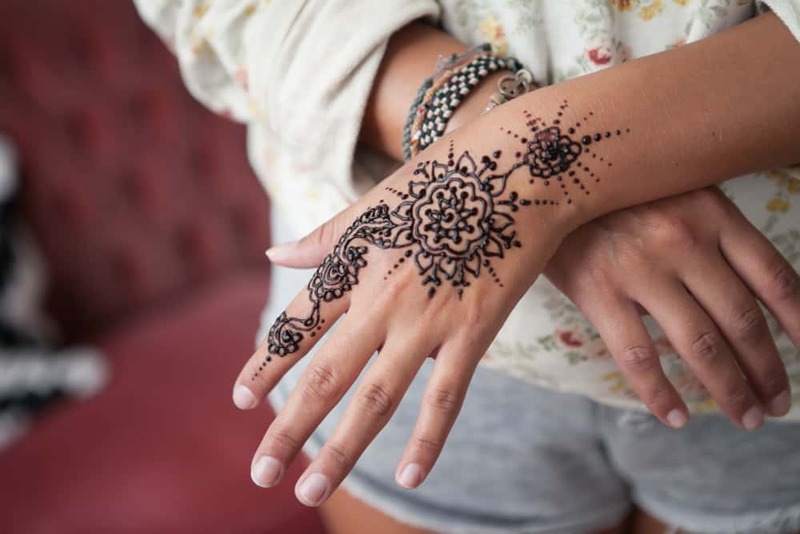 We don’t keep our henna skills to the summer exclusively, but we certainly do them more when the weather is warm because we don’t have to wear long pants, long sleeves, or socks, which gives us maximum surface area for creating henna art! 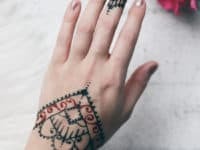 Just in case you’re in need of a little henna tattoo inspiration as well, here’s a list of 15 DIY henna patterns that will have you, your friends, and your family feeling like walking pieces of art all summer long! Do you celebrate the arrival of warm weather by throwing off your socks and shoes as fast as you possibly can, just like we do? 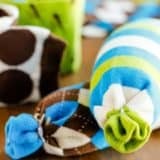 Each year, we spend as much time bare foot during the summer as we possibly can because it just makes us feel so comfortable and refreshed after a long winter of bundling up. 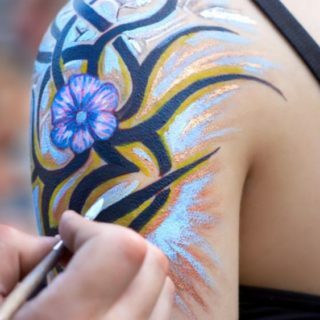 It also means you’ve got more space than usual for doing henna tattoos! We love this floral pattern all along the inside of the foot. 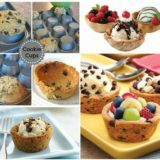 Get a better look at the picture on Pinterest. 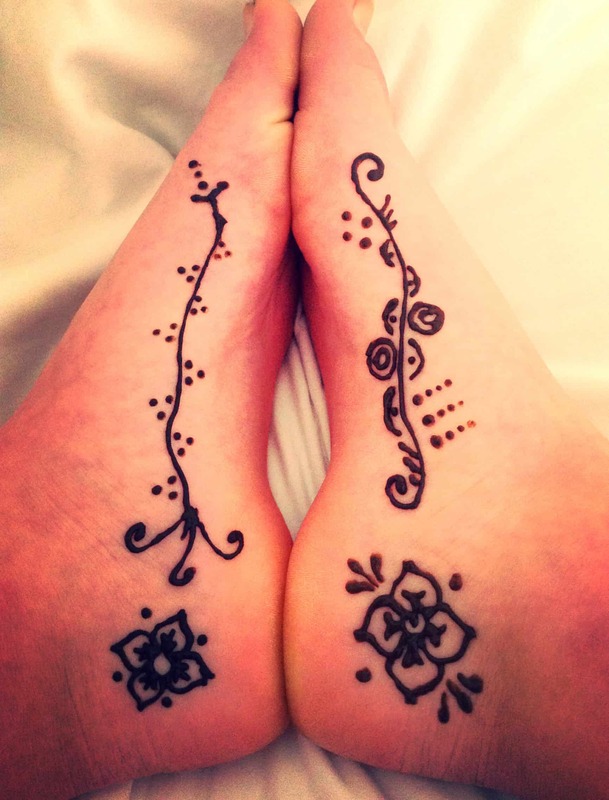 Do you adore the idea of creating pretty florals on yourself or your loved ones because you think those are the best displays of your henna skills, but you find that the pattern disappears too quickly on your feet because you walk around so much on a daily basis? 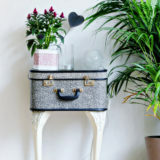 Then perhaps you’d rather feature your flowers somewhere that people are more likely to notice them right away! We love The Hunt‘s idea of a swirling floral pattern all the way across the palm of the hand and down the inside of the forearm. 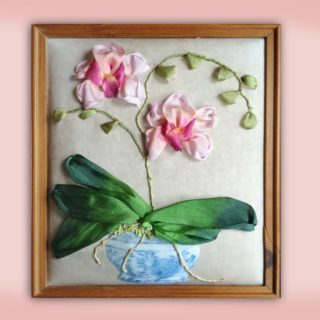 Try featuring blossoms both big and small! 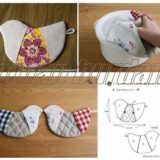 Just in case you’re into floral patterns but you’re feeling adventurous and would rather try out some patterns that are a little more detailed and challenging than a set of simple flowers, here’s a pointillist floral design from Boat People Boutique! 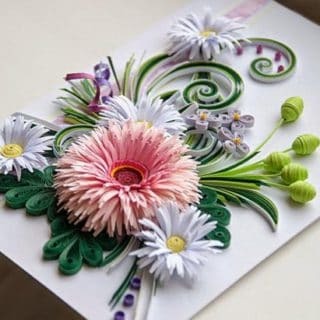 Their flowers are a little bit more mandala inspired than they are shaped like true summer blossoms, but the real scene stealer here is the breathtaking dotted detail. 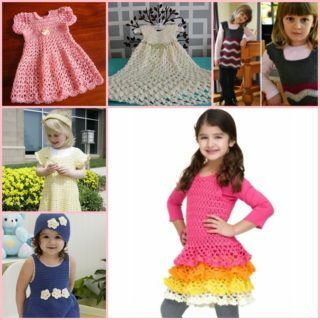 Try your hand at creating a pattern of dots that impressively small this summer! 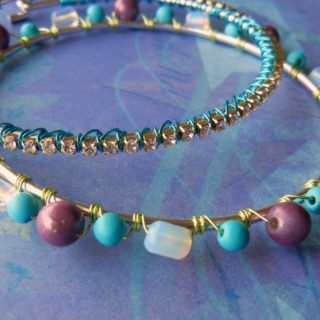 If you’re anywhere around your mid-20s or older in age then you probably remember those fun bracelets from the early millennium that were part bracelet and part ring, chained together with a thin trail of rhinestones linking your wrist to your finger. 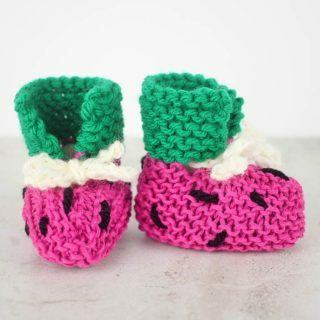 We rocked those all the time! 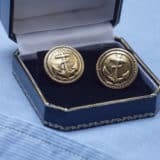 They became passé pretty quickly but, like any good fashion accessory, they’ve actually been making a bit of a comeback lately. 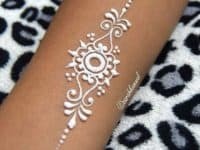 We don’t tend to wear much jewelry in the summer because we get weird tan lines when we do, but that doesn’t mean you can’t mimic the look with a pretty henna tattoo design! Check out in more detail how Merxus DIY created the very bracelet-to-ring design we’re talking about, but replace jewelry chain and rhinestones with pretty floral henna and cute little leaf accents. 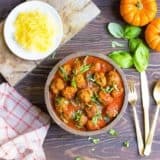 Are you a talented painter, sketch artist, or other visual arts expert who’s been looking to branch out when it comes to the mediums and tools you use to create images and express yourself? 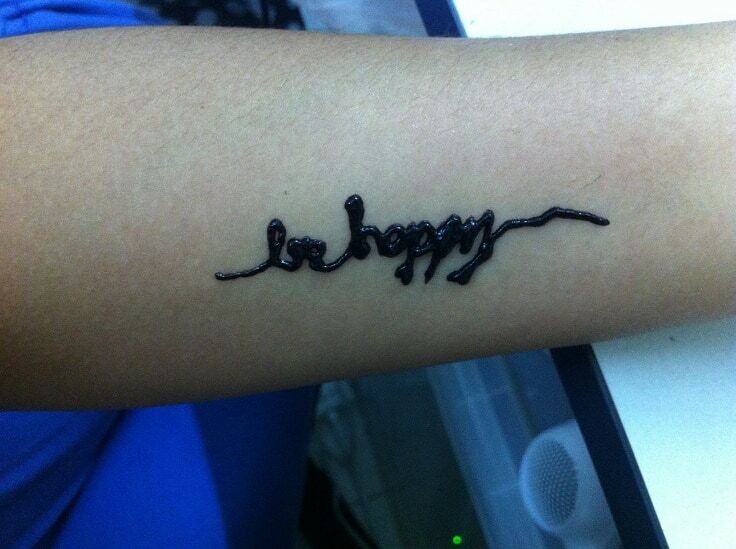 Then we definitely think you should try your hand at henna tattooing! 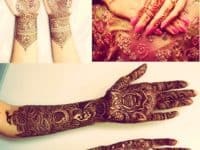 There’s really no limit to the kinds of detailed designs you can create, as you can see here by this stunningly intricate palm and forearm pattern featured on Musely. Knuckle rings have been trending recently and we’ll fully admit it; we’re kind of obsessed with them. Like we already said, though, we tend to avoid jewelry in the summer because we always get crazy tan lines when we wear it! Instead, why not decorate your own knuckles and those of your friends with some awesome henna? We very much enjoy these little geometric boxed triangles from Boat People Boutique. Have you always wanted a tiny tattoo, like a simple quote that means something to you, but you’re just not ready to commit to permanent ink yet, especially when you’re not entirely sure how the font and placement you want will look? 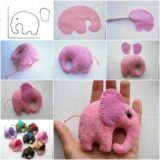 Well, until you’re ready for the real thing, we think Top Inspired has found a great way for you to try your design out without being stuck with it forever! 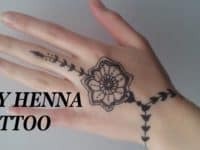 We can’t get over how adorable this little henna quote idea is especially if you have lovely cursive. 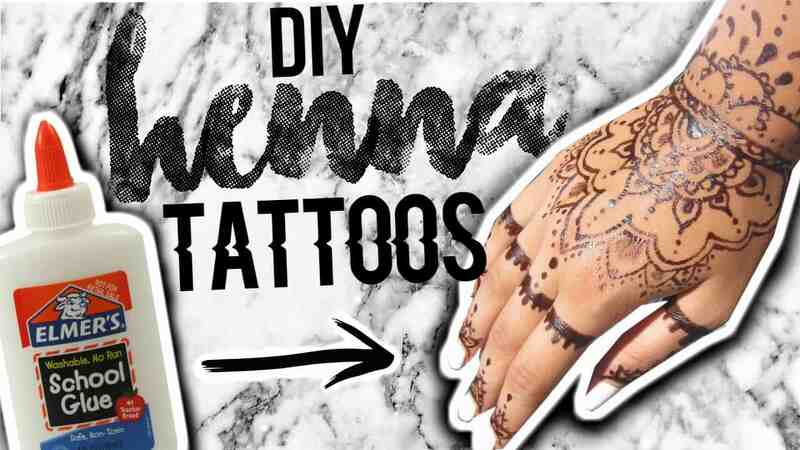 Are you suddenly feeling the urge to make yourself a henna style temporary tattoo right now but you can’t go out and buy the powder you need to create actual henna until much later? When grab the nearest bottle of simple white school glue and try that out instead! 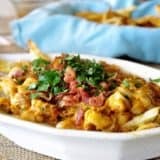 Chic Unique has a tutorial that walks you through the steps for making faux henna that’s a lot of fun to play with until you can get your hands on the real thing. We’ve always been in love with pretty mandala style swirling visuals, but that’s never been quite so true since we started using those lovely patterned adult colouring books as a way to relax and unwind after a long day. 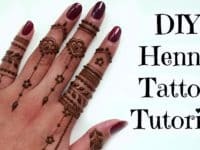 Our favourite of those books are the mehndi designs, so it only makes sense that those are some of our very favourite henna tattoo patterns too! 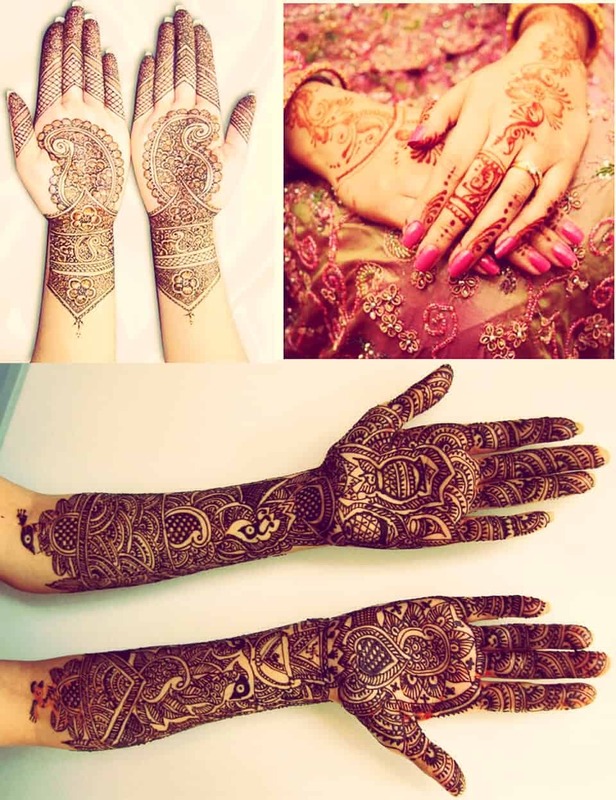 Check out this stunning hand and finger design in more detail on Boat People Boutique. 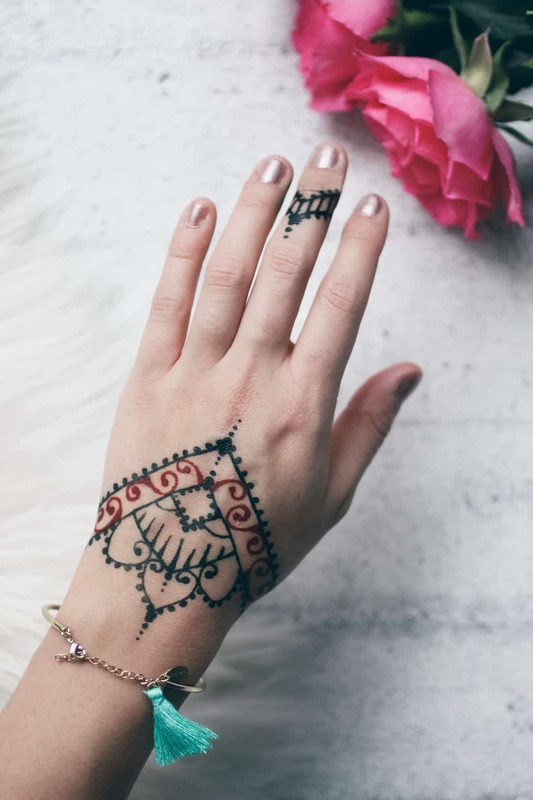 Were you intrigued by the henna bracelet and ring design that we showed you earlier but it just wasn’t quite enough of an impactful design for you? 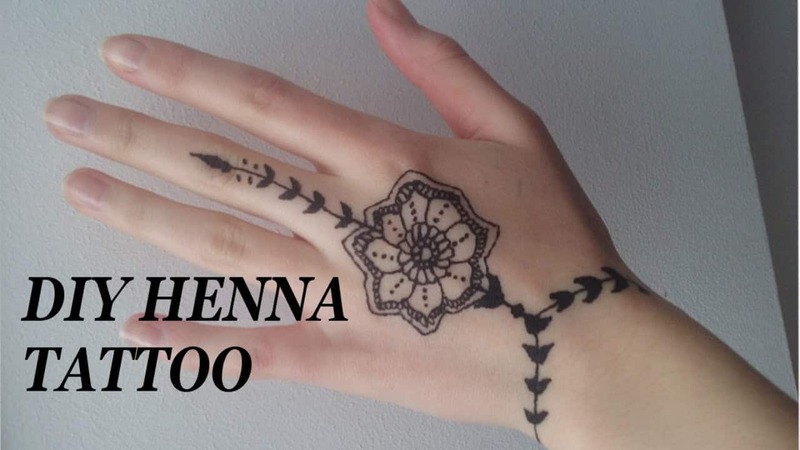 Not everyone who loves henna wants to make their pattern delicate and girly, after all. 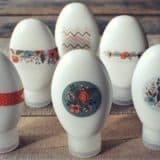 If you’re looking for a pattern in that same shape but that makes a little bit more of a statement, we think you’ll really enjoy this triangular cuff design from Bath n’ Body Crafts! 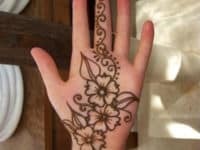 We’ve talked a lot about floral henna designs, but drawing flowers all over yourself isn’t the only way that you can appreciate nature and plant life when it comes to henna tattoos! If you’re more of a greenery person, you might prefer this awesome leaf design featured on Musely instead. 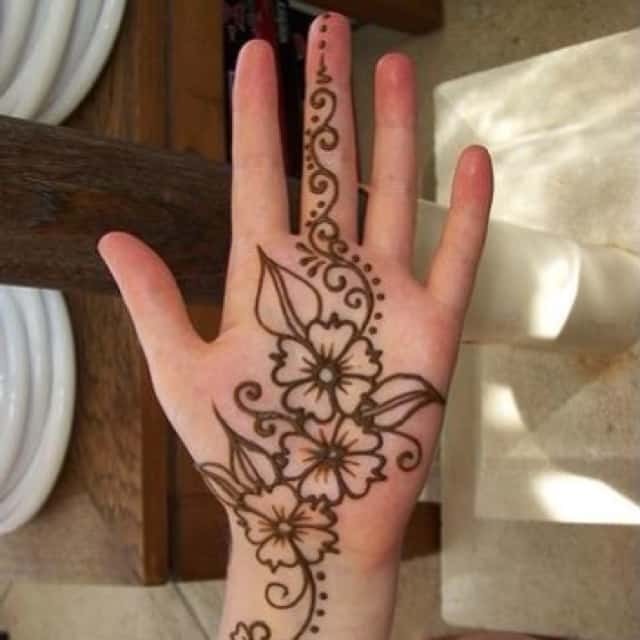 Try creating henna flowers on the back of one hand and bold henna leaves on the other! 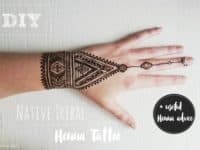 Have you been doing henna tattoos and mixing your own powders long enough that you’ve recently learned how to make henna in different shades and now you’re just looking for ways to show that off within pretty designs? 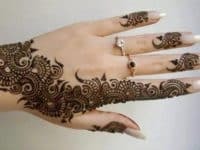 Well, there are basically innumerable patterns you can create but for starters, check out how Love and Fashion combined black and red henna, using the red as a pop of accent colour in the midst of a primarily black design. Have the finger and knuckle designs that we showed you earlier on our list been your absolute favourite ideas so far, but you’d rather take them even further and extend them all the way down, taking full advantage of the space your fingers and the backs of your hands offer? 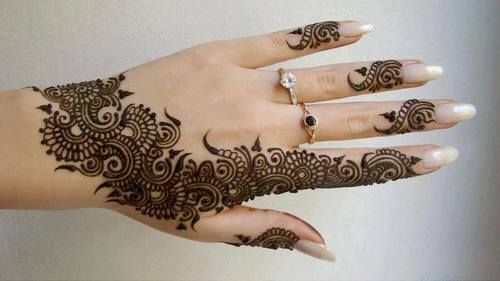 Then trying following in the footsteps of Henna Art by Aroosa and extending your patterns from your nail beds all the way down past your biggest knuckles. 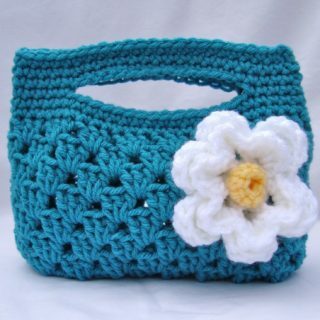 We’re in love with their finely detailed pattern strings dotted with pretty flowers. 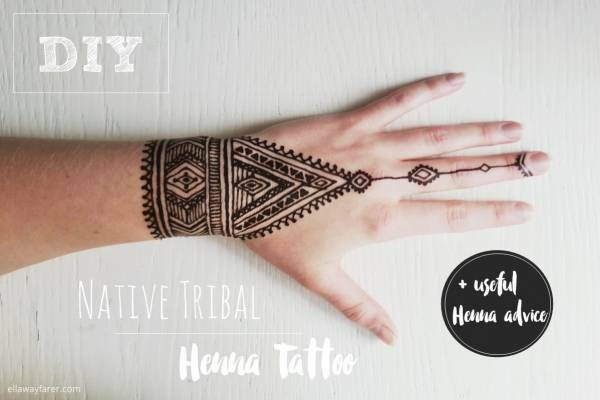 Are you experience enough in creating henna patterns to be able to design all kinds of things yourself, but you’re still open to trying new things and looking for ways to put a unique twist on the art you love? 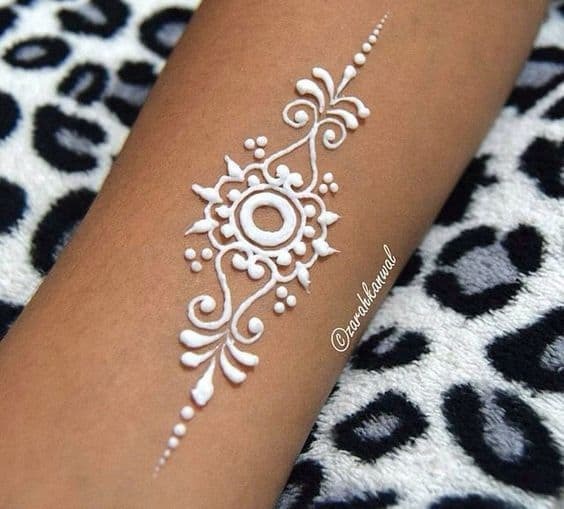 Then you’ll have an absolute blast creating this pure white henna from Fashion Glint! 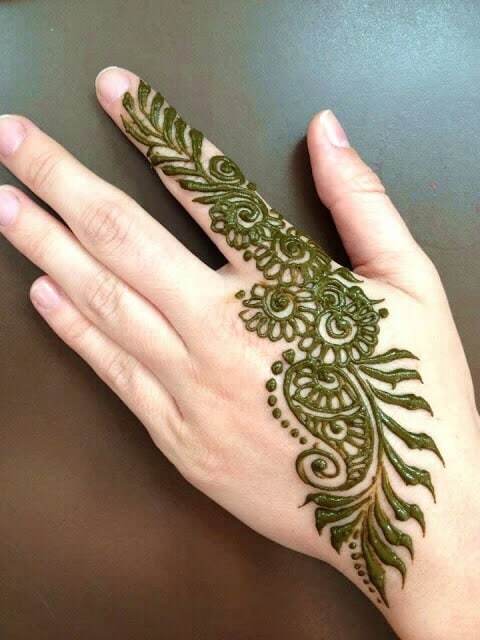 Even your friends who do henna themselves and are used to how impressive it can be will look twice at this idea.